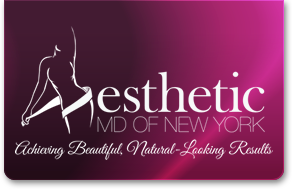 Dr. Adler is the creator and innovator of Aesthetic MD Skin Care. Dr. Adler’s scientifically formulated prescription-strength products contain the purest, most beneficial natural and therapeutic ingredients which are specifically designed to be used in conjunction with and to enhance the long-term benefits of many aesthetic medical procedures. Dr. Adler’s background in wellness and pain management have combined to yield a uniquely crafted product line that offers superior results in firming, soothing and moisturizing the skin. Dr. Adler, her team of pharmacists and product formulators have selected the most effective natural products combined with the most high-tech, scientifically proven ingredients available today for maintaining clarity and youthfulness of both face and body.